GregTech 5, created by GregoriusT, is an addon mod that completely overhauls IndustrialCraft 2, adding numerous machines and materials, adjusting recipes for existing items, and revamping ore generation. GregTech is meant to extend gameplay by making certain things less overpowered, many machines more complex to craft, and adding a wide range of machinery. Note: HanFox's Customiser will not affect Netherrack for GregTech ores; GregTech Netherrack ores will still be backed with the "pulsating flesh" texture. Players who want one of the other Netherrack textures may need to manually copy the alternate texture into the textures/blocks folder in their local copy of the PureBDCraft resource pack. Note: Two circuit textures from IC2 are now overridden by this patch due to patterns in the way circuits are crafted since GregTech 5.09.28, so players are encouraged to make sure the GregTech patch is above the IC2 patch in the resource pack list. These patches should also be backward compatible with older GT5 builds. Note: Windows user can use a batch file here to automatically shuffle about some files. Other OS users will need to move the files manually. 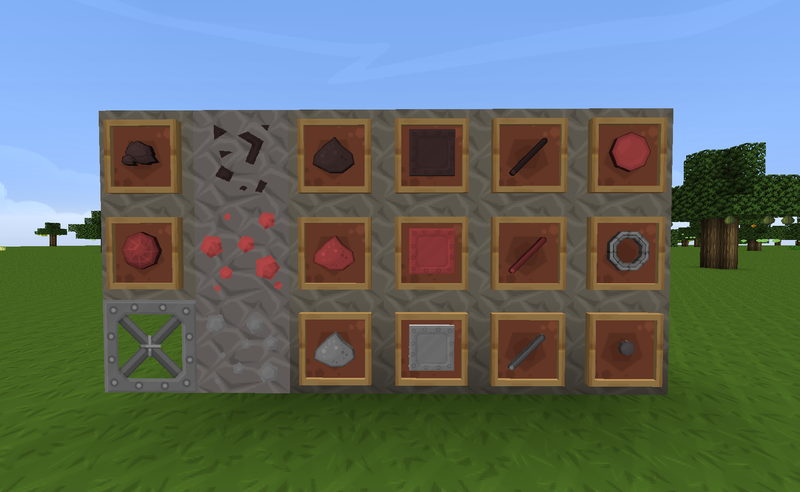 Posted textures for GregTech Community Edition. 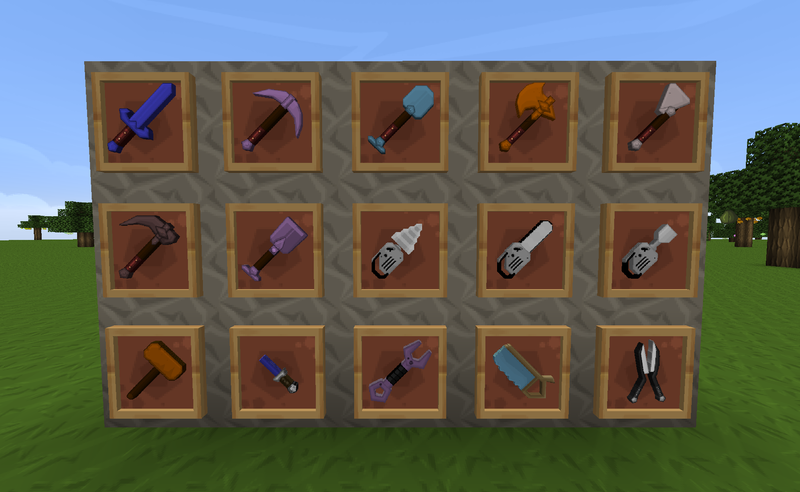 Removed textures of uncraftable rotors from 5.09.28+ packs, since some of them were now showing up for the LuV+ pump items. Added Extruder front texture, improved Centrifuge animations. Added machine front texture and GUI texture for circuit assembler. Redid texture for pump machine by cutting it out from the 2.82a textures. Added dragon egg machine casing texture (cut out from the 2.82a textures). Added top textures for fluid extractor, fluid heater, and forming press (copied from compressor, since default textures use the same top textures for these machines). 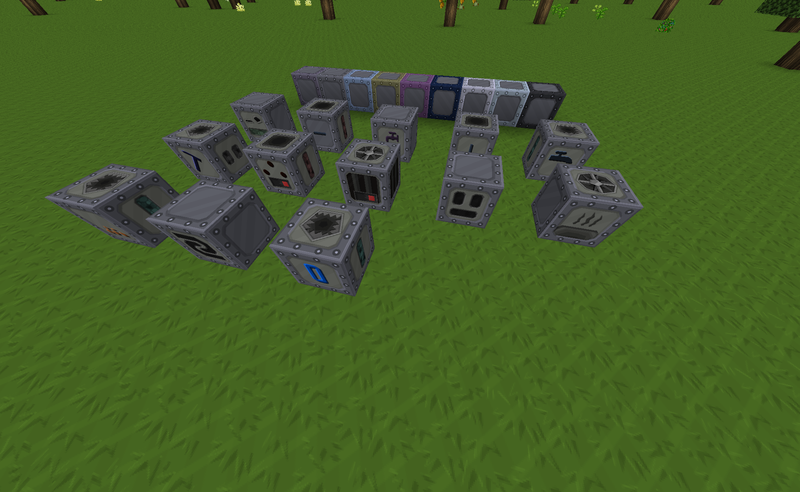 Added top textures for macerator and pulverizer (cut out from the 2.82a textures). Added new side textures for forming press (copied from wiremill, since they seemed to be somewhat similar to the default side textures for the forming press). Pulled Regulator GUI from 2.82a textures. Changed smooth forms of basalt, dark/light concrete, and marble to use shading at edges to indicate this, and plain forms of these stones are now recolored stone instead of recolored gravel (the textures that were formerly used for the smooth forms), because it felt all wrong to me to use recolored gravel textures for blocks that were not affected by gravity. Made enhanced version of Fusion Computer GUI. Added texture for pump machine. Removed some block textures that had been copied from default textures (and with the Sphaxify tool, would end up as 8x8 in the 64x patch and 4x4 in the 32x patch); They would get used when plates (sometimes double, triple, etc. plates) are placed as covers, so they wouldn't show up in NEI/JEI. Added some fusion casing textures (some include GrumpyPirate's "atom" texture from the "Useful Resources to Sphaxify" thread). Added patch for MC 1.10.2 version of the mod. Added transparent centers to energy input overlays, to distinguish them from outputs. Added transparent bottom overlay textures for arc furnace and plasma arc furnace (no idea why default texures use a dark gradient for it), as well as for side overlays of machines that don't already have more specific side textures. Removed several GUIs that are not actually used by the mod. Resized many fully-transparent overlay textures to 16x across all sizes of the patch, since they don't need the higher resolution. Removed many fully-transparent overlay textures that were redundant with default textures. Fixed half-full cadmium battery texture, so it no longer looks like a lithium battery. Removed machine textures for Rock Breaker, after noticing that the same files are used for the Charcoal Pile Igniter and Seismic Prospector, which my textures are not appropriate for. Added material block textures (re-colored from the Sphax textures for vanilla Block of Gold, Block of Diamond, Block of Iron, Block of Lapis Lazuli, and Block of Coal). Fixed issue discovered with impure/purified dusts and hot ingots caused by alpha threshold in 32x, 64x, 256x, and 512x textures. Applied alpha threshold to the non-128x texture sets, which will hopefully prevent tools in hand from having transparent edges from alpha antialiasing done during scaling. Added item textures for: Soft Mallet, though only for material categories that soft mallets can actually be made from (and the "None" material type for showing it in the NEI list). Added missing mcmeta files for steam turbine to 32x, 64x, 256x, and 512x textures. Removed blurry upscaled-from-16x-original fine wire textures. Updated GT version listed in pack.mcmeta (now shows 5.09.15 instead of 5.06.02). #Fixed: Some textures were 512x...oops. #In-Progress: The textures are being remade properly and will scale better. Will be able to export all sizes as soon as I am finished. DumbGuyDan for anything 3.08g until he disappeared December, 2013 as did his links. Last edited by MauveCloud on 12 Apr 2019, 16:31, edited 46 times in total. Is this version compatible with MineCraft 1.5+? It should support MC1.5 to some degree, but I no longer maintain the patch. For me it doesn`t works. There will be no new version of texturepack? I am currently updating this for 1.5.x. I am about 90% done and over the next few days will be making more progress. I will upload as soon as I get all the blocks done. The rest of the items will be finished later. But i have a question about the GUI of the Fusion Computer (Part of Fusion Reactor). It's not textured, right? I would love to see this one textured. Yeah. I mostly worked on things that just needed a bit of a tweak. I will be tackling the harder stuff once I get the minor stuff out of the way. Better to have it mostly correct than to wait for one piece. I am working on it, but I have some stuff coming up that will make it hard to update for a week or so. Be patient. It will get updated. I am astonished how frequently things get uptdated here! The texture pack is like a big diamond chest full of diamonds and yes i am sorry for my impatience. I presume i stick it in the /mods/ folder of my Sphax TP Compilation. Yes. The zip has the mods folder in it, so you just merge it with your mods folder inside the Sphax TP and it should be installed properly.